Hilton has launched a new promotion for its high-end brand, Conrad Hotels & Resorts. You can stay 4 nights for the price of 3. You should be able to bag yourself a good deal here, especially at the more expensive properties. To book, enter promotion code PBBOG1 on the Hilton website, or click through to the dedicated promotion page here. Look for the LRM Extra Night plan on the booking page. Bookings under this promotion are refundable, too, which is a nice bonus if you are looking for flexibility. YES! Hotels sometimes annoyingly inflate those promo rates, but this is not the case here. 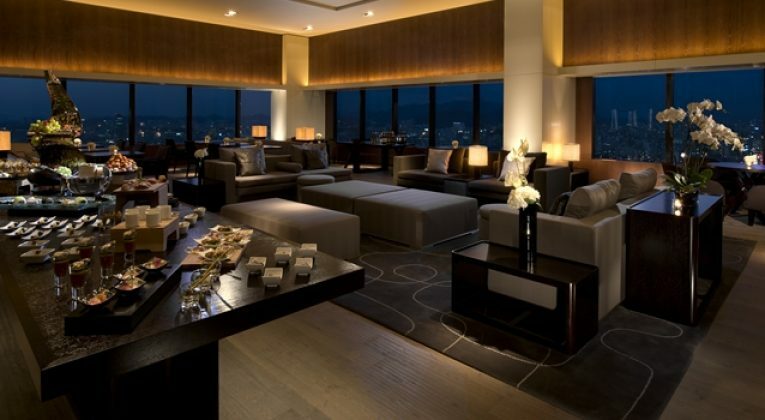 Check out the dummy booking below for a four-night stay on random dates in May at the Conrad Tokyo. 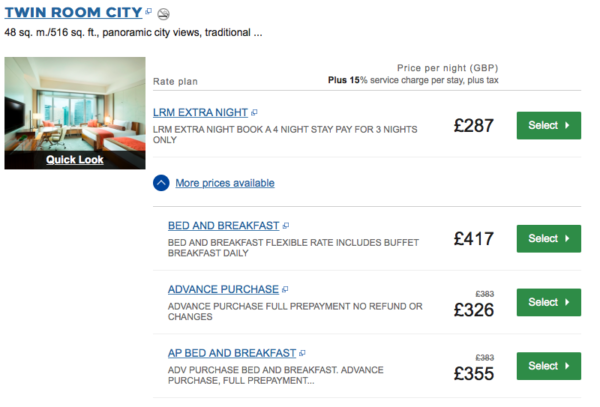 The LRM Extra Night plan yields a genuine saving and is cheaper than the Advance Purchase Rate. If you are looking to book a Conrad Hotel, you should definitely consider this promotion. Make sure you compare this promo rate to the other available rates however to ensure you are locking in the cheapest rate. Because this rate is refundable you have nothing to lose really. Remember the various cashback options for Hilton, which Ian has outlined for you here. That would indeed be a nice little bonus! When I check the Conrad HK using the Promo code and selecting the LRM rate it still tries to charge for 4 nights. 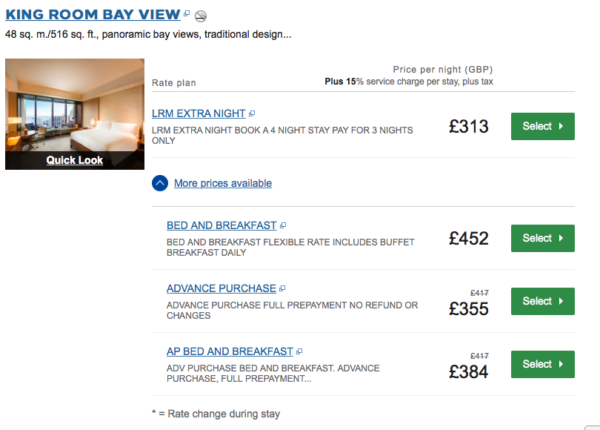 Have they reduced the rates accordingly and then applied 3/4 price across 4 nights? I was expecting to see the 4th night free. Conrad is playing games here. no availability in most places on most dates.